Arunachal Pradesh will host the final round of sub-junior (boys) National Football Championship of All India Football Federation this year. This was revealed by Arunachal Pradesh Chief Minister Pema Khandu through his Twiitter handle on Friday. The championship will start from November 24, 2018. 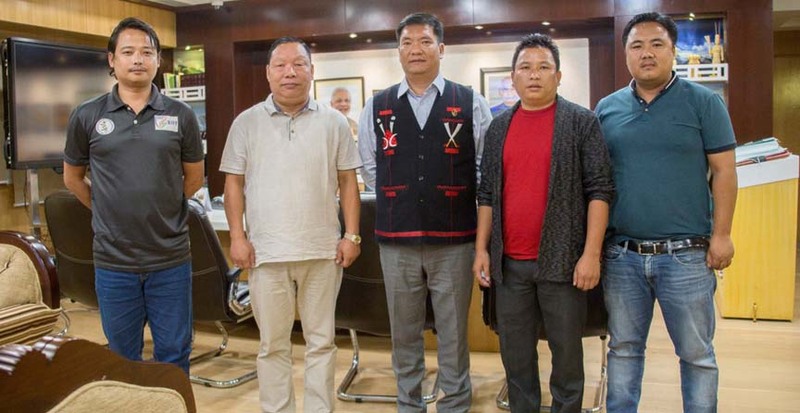 This was informed when president of Arunachal Pradesh Football Association (APFA) Takam Sanjoy called on Chief Minister Pema Khandu. As per a report published on Friday by Arunachal24.in,the Arunachal Pradesh Chief Minister assured all support and funding for the football championship which is going to be held for the first time in the State in 27 years since APFA was first formed. Sanjoy also informed the CM about few football players from State who are doing remarkably well in the football at national and international level. He informed about Achi Digio, an U-19 player, who recently qualified for an international match. He also informed about Nabam Kami, Tamchi Api and Roshni Ramching who all recently qualified for the I-League football league, the report stated.